When Lance Meilech took the opportunity to remodel a former downtown boarding house on Washington Street in 2008, he saw past the disarray of the rundown structure. Instead, he saw an opportunity to resurrect an important piece of history. Meilech is the owner of the old Swindall Tourist Inn. Once known as the Swindall House, it is the last former African-American boarding house known to still be standing in the city. 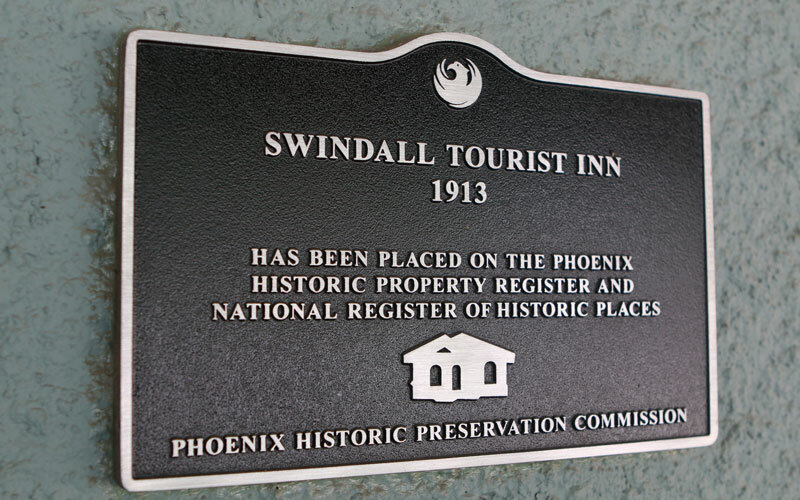 The Swindall House and others like it hosted African-Americans turned away from Phoenix hotels during the era of segregation. During segregation, Jackie Robinson, the legendary baseball player who broke the MLB color barrier in 1947, visited Phoenix as a junior college football player, and battled discrimination here long before his baseball career ever began. It was indicative of what he would face throughout his athletic life. Robinson’s struggle against segregation in baseball is well-documented today, but no less revered. Major League Baseball honors his memory every year with celebrations at ballparks on April 15, the date of his debut. Every player, manager and umpire wears Robinson’s now famous jersey number 42 on the field in recognition of his accomplishments. It is also the only universally retired number across professional baseball. Robinson came to Phoenix as an 18-year-old on the Pasadena Junior College football team in 1937, when he and other African-American athletes were met with discrimination at the team’s hotel, as well as later in his career when he went “barnstorming” across the country after he was an established baseball star. That’s where history gets a little bit hazy. Some accounts say Robinson and his black teammates from Pasadena stayed at the Swindall House or another similar boarding house that accommodated African-Americans. Others say they stayed in the lobby of the team hotel, sleeping overnight in chairs. 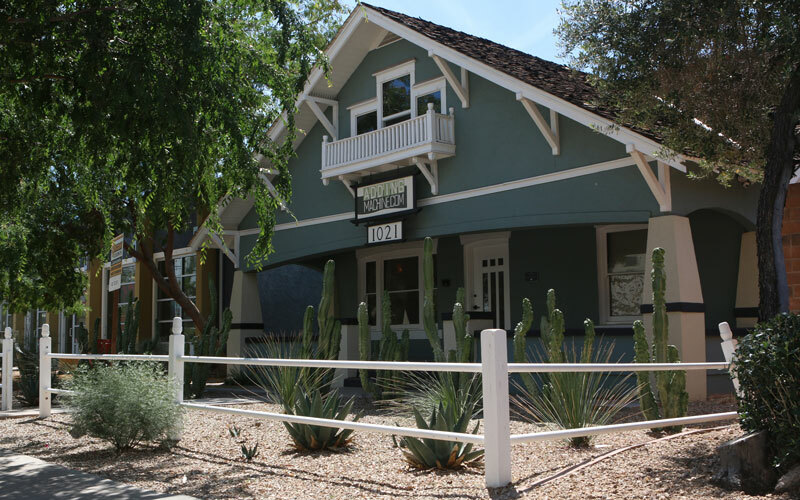 Accommodations like the Swindall House were important for African-Americans traveling through Phoenix, according to its application approved by the National Register of Historic Places in 1995. When rooms at black hotels were unavailable, and especially during the time period of limited African-American housing during and immediately after World War II, less formal boarding houses in the area serviced demand well into the 1960s and early 1970s, even after federal legislation banned racial segregation. These places offered even more than just housing. Their walls were important safeguards where African Americans could discuss the issues they faced and gain valuable information about the local community. While the connection to Phoenix might seem small, the racism Robinson faced here is still a significant aspect of what he and many other African-Americans struggled against. As people continue to research and learn about the ballplayer’s life, Doswell hopes his struggles on and off the field continue to inform the broader discussion on race in society across the country. Today, Meilech, who lived through and opposed apartheid in his home country of South Africa, looks on with pride at the renovated building, especially with his own connection to the struggle against racism. To him, it’s important to preserve such structures that serve as windows into the past.